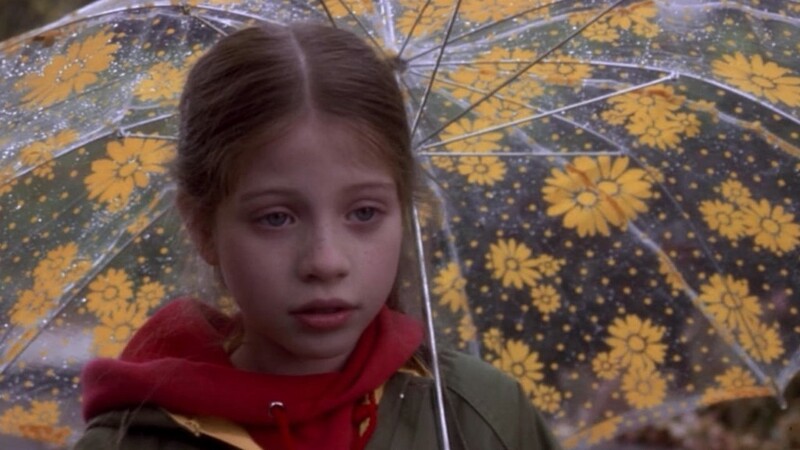 Before we get into the money aspect, I want to note that I have always had a huge problem with the second half of Harriet the Spy. I have a vague memory of not even finishing the book, the first time through, because the second half seemed unfair to the half that had come before it. During the first half of the book, we watch Harriet learn more about herself and the world around her by pretending to be a spy and, more importantly, keeping a notebook/diary about her daily observances. I love that part. It’s brilliant and heartbreaking (and, in my case, familiar) to watch Harriet study both adults and peers to learn about love and loss—and, of course, money. 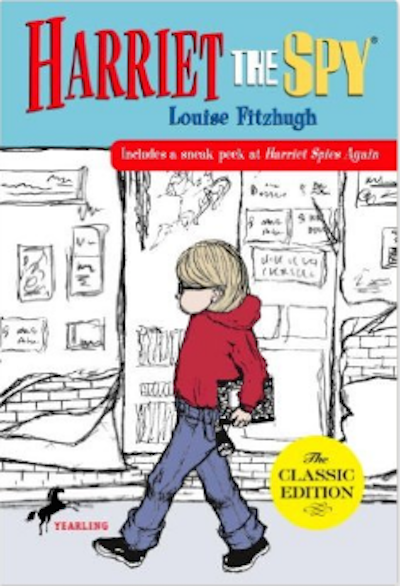 During the second half of the book, Harriet’s friends create a game of “knock books out of hands” tag so that they can steal her notebook, which they then read. Then they bully Harriet—they literally parade up and down the street, mocking her—and all of the adults insist that this is Harriet’s fault; at the least, she brought it on herself. That in itself seems children’s-booky enough to slide (the whole “adults don’t understand what’s really going on” thing is a pretty common trope, plus I guess kids should learn that taking notes on their friends during school might have some consequences) but then we get this bizarre sequence where the adults decide to “cure” Harriet’s subsequent and legitimate depression by making her an editor of the school paper, where she runs a gossip column cribbed entirely from what she hears at the family dinner table, and nobody tells her why that might not be the best idea? THIS PAGE WISHES TO RETRACT CERTAIN STATEMENTS PRINTED IN A CERTAIN NOTEBOOK BY THE EDITOR OF THE SIXTH GRADE PAGE WHICH WERE UNFAIR STATEMENTS AND BESIDES WERE LIES. But I’ve never really liked the turns the book takes to get there. Like Harriet, I was a diarist from a young age; I’ve always found that the best way to understand my thoughts and feelings are to write them out, and in many ways that’s why my current job feels invigorating rather than exhausting. The scene where Harriet’s teachers forbid her from carrying a notebook and she worries that she’ll lose access to her own mind is painful to read because it is true. I’m also very much into routine, and eating the same things every day, and eating cake every day if I can get away with it. I love tomato and mayonnaise sandwiches. But I never fully identified with Harriet as a child, first because I was the kind of young girl who would have loved putting on a black velvet dress every Friday to go to dancing school, and second because she was always louder and less polite than I wanted to be. I identify much more with her now. This particular house is Ole Golly’s mother’s house, and it becomes clear why Ole Golly is both so well-read and so obsessed with education and individual responsibility: she saw that as a way to make a better life for herself. For a young woman in the 1960s, education would be the first step towards better financial opportunities. A good job, maybe as a live-in nanny in a respectable upper-middle-class home, would be the second. Marriage would be the third. I don’t know about you, but I don’t trust Mr. Waldenstein one bit. He’s not the kind of person I want Ole Golly to marry. I am instinctively repulsed by his sob story of how he was miserable in his high-paying, demanding job, so the only thing to do was leave his wife and son (technically, “invite them to come with him”) and become a delivery driver. Maybe there’s a universe here where he, like Captain Awkward suggests, has a series of conversations with his wife about his dissatisfaction with his work, and the two of them discuss different options he could take. Maybe he did all of that and they agreed that the best option was for him to leave. Maybe he didn’t unilaterally make a decision that affected his entire family. Maybe he won’t someday do the same to Ole Golly. “Your father has a very high-pressure job, that’s all. We know that the Welsch family has both a cook and an Ole Golly, so it’s easy to assume Harriet’s observation that her mother doesn’t do any “work” is correct. But Harriet’s mother both manages the staff and negotiates on their behalf—she’s the one arguing in favor of giving the cook a raise—and she also assists her husband’s entertainment industry career by dressing up and accompanying him to parties, which happen often enough that Harriet treats them as a regular occurrence. Skipping that white-tie event is not an option. Behaving inappropriately during the event—or neglecting to talk to the right people—is not an option. Harriet’s mother does a lot of unseen, unappreciated things. The problem is that you need more than one big check to make a long-term living in the creative world. Sport and Harriet never really discuss why her father is successful in his creative field and his father is not, but it’s pretty clear that money in the television industry and money in the publishing industry are two different things. Let’s hope that novel is a bestseller, and that Sport’s the one who gets to budget the royalties. Sport’s mother, like Mr. Waldenstein’s wife, “went away and has all the money.” I’d love to read the whole story there. I GUESS IT’S NOT MONEY THAT MAKES PEOPLE DULL. THERE IS A LOT I DON’T KNOW ABOUT THIS THING OF BEING DULL. I BETTER FIND OUT BECAUSE I MIGHT BE IT. OLE GOLLY SAYS THERE IS AS MANY WAYS TO LIVE AS THERE ARE PEOPLE ON THE EARTH AND I SHOULDN’T GO ROUND WITH BLINDERS BUT SHOULD SEE EVERY WAY I CAN. THEN I’LL KNOW WHAT WAY I WANT TO LIVE AND NOT JUST LIVE LIKE MY FAMILY. It’s clear that Ole Golly was talking about herself here, and her journey out of the tiny house with the bathtub in the kitchen. But Harriet’s eleven, and she assumes Ole Golly is talking about her. The advice still holds. Next week: Anastasia at Your Service.